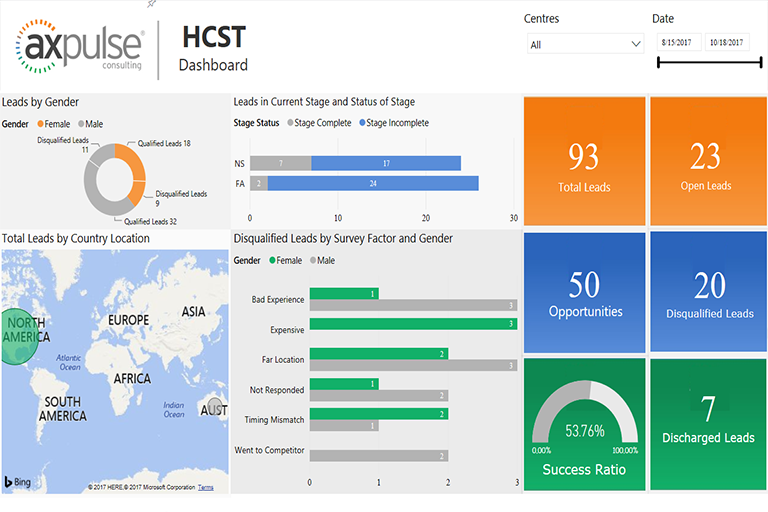 This dashboard provides insights into your prospects, patients and therapists information. With diverse data segments and multiple filters on the dashboards, these insights can help to provide a better medical prognosis. 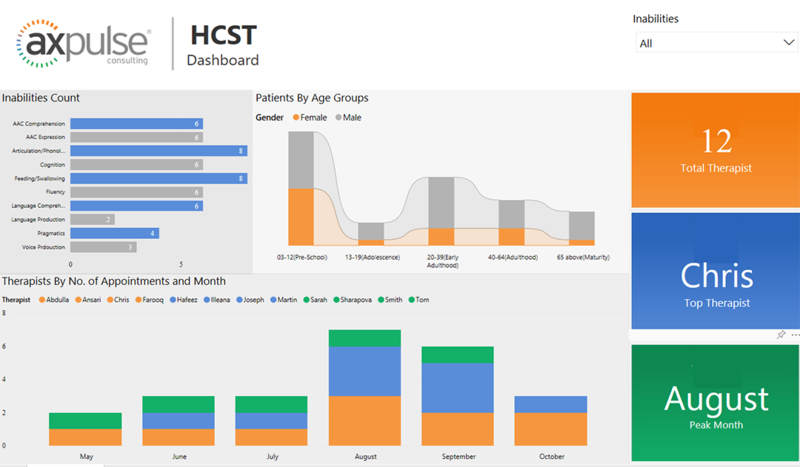 This dashboard provides useful insights into your prospects, patients and therapists information. Using diverse data segments and multiple filters, these insights can help to provide a better medical prognosis. 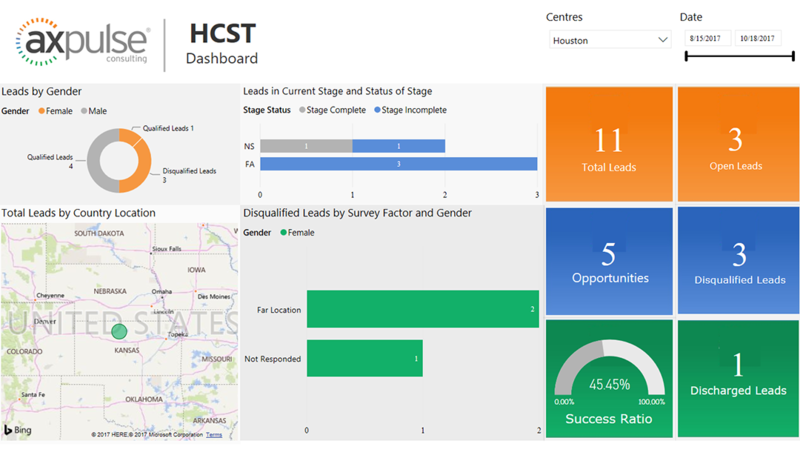 A prominent feature is the ability to segment patients by gender, location, stages & status, and using filter(s) functionality to view date and location specific records. By selecting any particular visual, the dashboard provides drill-down functionality to magnify the data. Not only can you track all therapist records including, Most Popular Therapist, Busiest Month, you can also check the factors (diseases/disabilities) that have affected your clients the most and even segment and filter disabilities by gender. 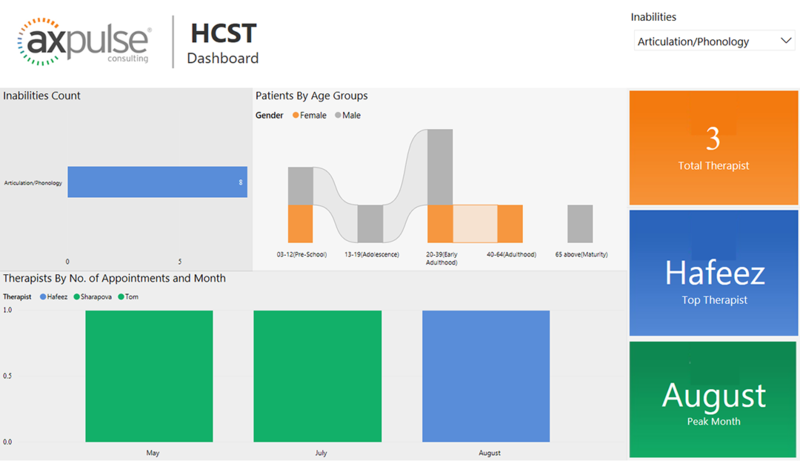 The Health Care Speech Therapy dashboard is useful and adaptable for changing business models so that you may direct necessary resources towards the cost & profit centers of the organization including Admin, Sales and R&D. 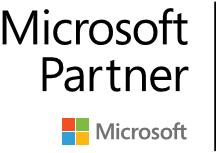 This adaptability helps organizations adjust to challenging and changing demands to better align to the performance goals set by the senior management.